SEATTLE – March 7, 2011 – ECOtality, Inc. (NASDAQ:ECTY), a leader in clean electric transportation and storage technologies, today announced the company’s partnership with food retail chain Fred Meyer, a division of The Kroger Co. (NYSE: KR). Fred Meyer will install ECOtality’s Blink Level 2 Electric Vehicle (EV) Commercial Pedestal Charging Station at select stores within EV Project regions in Oregon and Washington. 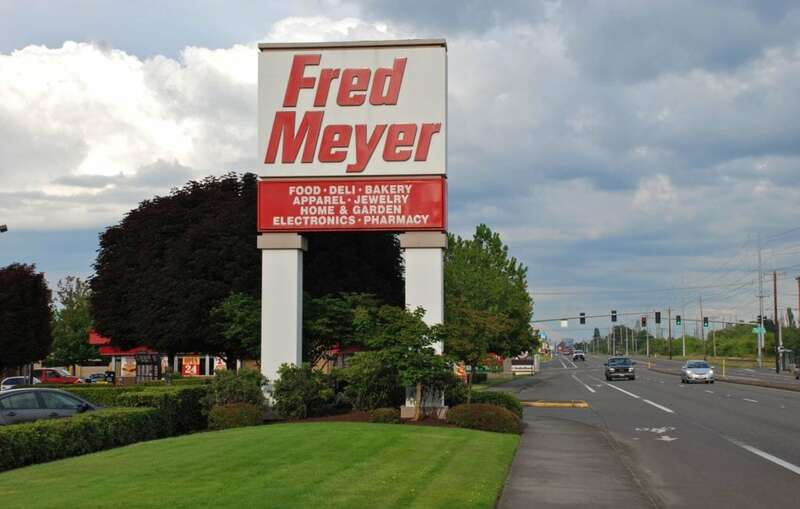 The deal makes Fred Meyer ECOtality’s first food retail partner in the Northwest. As part of the agreement, Fred Meyer will become a commercial launch partner for The EV Project and will install ECOtality’s Blink Commercial Charging Station at stores in EV Project regions located in Oregon and Washington. Stores being considered in the Portland metro area include Hollywood, Stadium, Walker Road, Gresham and Newberg. Stores under initial consideration in the Seattle and Central Puget Sound area include Everett, Alderwood, Bellevue, Lake City and Kent. Additionally, two new stores – Wilsonville, Ore. and Maple Valley, Wash. – will receive charging stations. Blink charging stations will also be installed on major transportation corridors between Seattle store locations and the United States border with Canada. ECOtality will begin installing Blink charging stations at Fred Meyer stores in Summer 2011. ECOtality will work with Fred Meyer as well as relevant area stakeholders to utilize the Company’s EV Micro-Climate™ process to determine which stores are suitable for installation. Factors that influence charging site locations include, distance to major interstates and transportation routes, and distance to other Blink EV charging facilities. The Blink Commercial Charging Stations complement the Blink Home Charging Stations that ECOtality will install as project manager for The EV Project. ECOtality also marked today the installation of Blink Home Charging Stations at EV Project participants’ homes in Washington, following last week’s announcement of residential installations in Oregon. The Blink Level 2 Commercial Charging Stations incorporate the smart elements of the Blink design and provide intelligent, user-friendly features to intuitively and safely charge electric vehicles, including fully interactive color touch screens and web-based information delivery via the Blink Network. A Blink Network smartphone application allows users to access charge station locations and GPS navigation, as well as charge status and notifications of completed or interrupted charging. Businesses like Fred Meyer will be able to take of advantage of advertising opportunities available through the Blink Network. Coordinated advertising campaigns can be developed to display Fred Meyer content and promotions, increasing potential customers and extending the customer journey to the parking lot. In addition business and other entities, with or without chargers at their locations, can take advantage of the media and advertising opportunities of the Blink Network that will be broadcast across Blink chargers starting in The EV Project regions and generally available nationwide. Additionally, consumers can yield greater advantages of The Blink Network by becoming Blink Members. The Blink Network of charging stations allows EV drivers the freedom to travel wherever they choose with residential and commercial locations conveniently located at their normal destinations. Any EV driver will be able to charge at a Blink station through a variety of options including interoperable RFID cards or fobs, smartphone applications, mobile phone based payment options, and credit cards, but membership does have specific advantages, including; discounted charging rates, reservation systems, and enhanced Blink Network capabilities. ECOtality is the project manager of The EV Project, and will oversee the installation of commercial and residential charging stations in 18 cities and major metropolitan areas throughout six states and the District of Columbia. The project, funded by the U.S. Department of Energy through a federal stimulus grant of $114.8 million made possible by the American Recovery and Reinvestment Act (ARRA), will provide an EV infrastructure to support the deployment of 8,300 EVs. The grants are matched by private investment, bringing the total value of the project to approximately $230 million. Fred Meyer Stores, based in Portland, Ore., offers one-stop shopping at its 131 multi-department stores in four western states. Nearly 30,000 Fred Meyer associates help customers fill their food, apparel, and general merchandise needs in Alaska, Idaho, Oregon and Washington. Stores range in size from 65,000 to 230,000 square feet and carry more than 200,000 products under one roof. Fred Meyer donates more than 4 million pounds of food each year to food banks in its four-state market and contributes more than $4 million each year to communities across the Northwest through grants from the Fred Meyer Fund as well as product donations, cash donations and sponsorships. Fred Meyer Stores is a division of The Kroger Co. (NYSE: KR). For more information, please visit our Web site at www.fredmeyer.com.